By Jennifer Burcke on August 23, 2011 Visit Jennifer's Website. I must admit to being a self-competitive person. I’m always trying to improve on my method of doing something. How can I grow earlier, bigger heirloom tomatoes? Can I improve my family’s favorite recipe for granola bars? 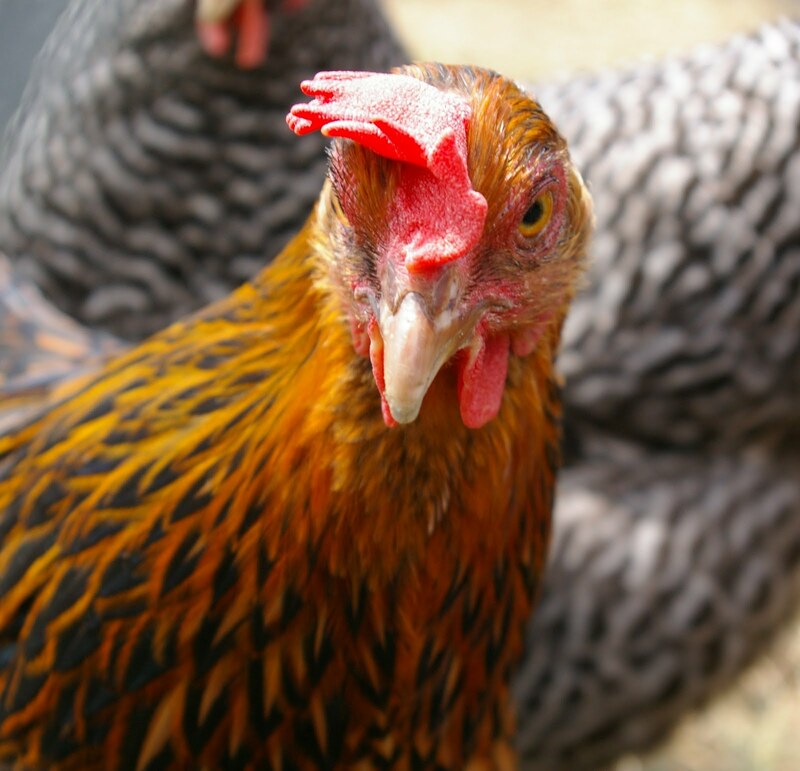 How can I encourage our seven heritage breed hens to lay more eggs? 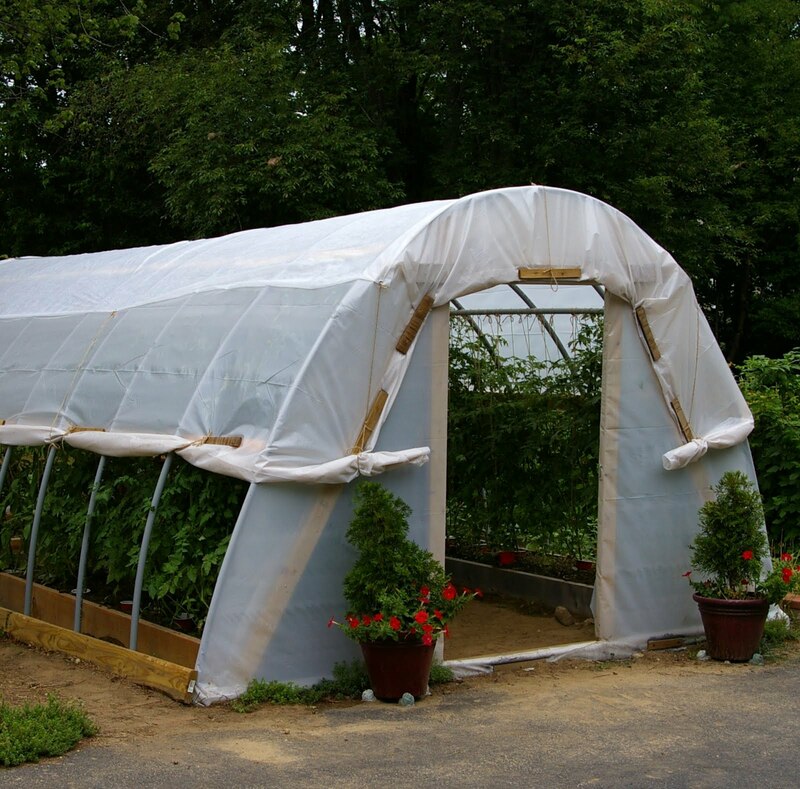 While I’d be happy to share with you our foray into hoophouse building to give the tomatoes a head start this year along with a fantastic recipe for soft and chewy granola bars, this post has everything to do with the last goal. As a farmer who raises chickens but doesn’t eat chicken, it’s all about those glorious eggs. Because we don’t eat chicken, the hens here only have one job. They might think that their one job is to wait impatiently in their outdoor run looking sweet and hoping that we will bring them garden scraps to enjoy. However, the task that we count on them for is laying the most delicious eggs that I have ever tasted. While it seemed like we waited forever for them to start laying, they have more than made up for the wait. Eggs are treated like the golden commodity here at 1840 Farm. Even my 5- and 10-year-old children gingerly retrieve them from the egg doors of our coop and cradle them in their small hands. The eggs laid by our chickens have a value beyond measure. We feel inclined to treat them as such. 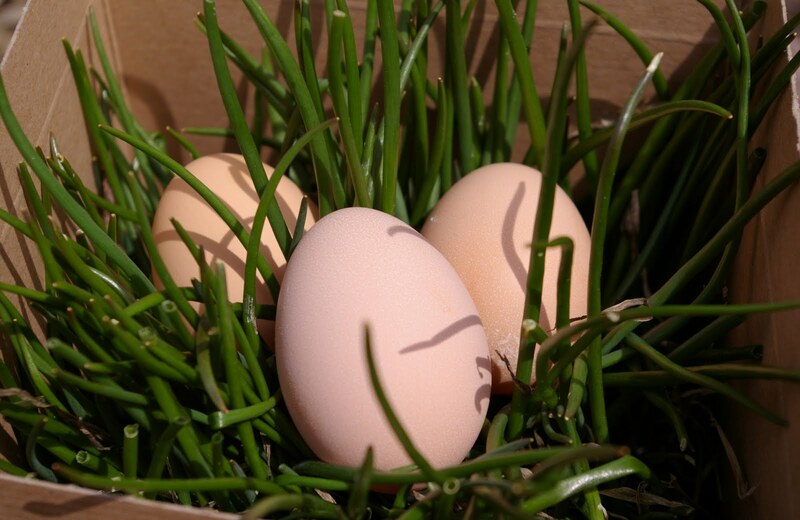 We also feel inclined to do anything and everything to encourage our hens to lay more of them. I will admit to perhaps going a little overboard where this goal is concerned. I’ve already shared with you that on hot summer days I prepare a refreshing snack of fruit popsicles and frozen blueberries. Last winter, I even shared my recipe for the morning oatmeal that I cook each day to help warm up our girls from the inside out. I’m not sure if these actions help to increase our egg production because we have always tended our chickens in this manner. I simply don’t have any way to compare. Until today. I’m proud to share with you that the hens living at 1840 Farm will be participating in the Purina 60 Day See the Difference Challenge. During the course of the next 60 days, I will be transitioning them from their current poultry feed to the Purina Layena SunFresh Recipe. I will be using a video camera provided by Purina to document our flock during the challenge. I’ll also be sharing with you how the switch affects their daily egg production and general health. I’m hoping to finally have a measurable way to compare my chicken-keeping methods both past and present. I keep very careful record of each egg that is produced and throughout the challenge, I will be reporting our daily egg tally on the Facebook page for 1840 Farm. I’m very interested to see if our egg production increases or if the size of our eggs increases after our flock has completed the transition to their new feed. The chickens at our farm won’t be alone in taking the challenge. Our French Angora rabbit and our Nigerian Dwarf dairy goats will also be joining in. 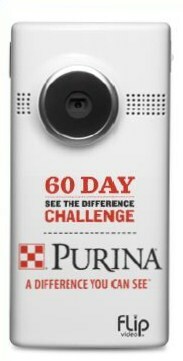 If you would like to take part in the challenge, visit the Purina Difference homepage and sign up. By joining the Purina Difference Rewards Program, you will receive money-saving coupons toward the purchase of Purina feeds, just like I did. If you do join the Purina 60 Day See the Difference Challenge, I hope that you will share your experience with us on the Community Chickens Facebook page. I’d love to hear how your animals respond to the challenge.I’ll be sharing the experiences of the animals that live here on the farm as well as announcing a giveaway whose lucky winner will receive their own FLIP video camera courtesy of Purina. Stay tuned to my updates on the challenge and learn how you can enter the giveaway by following 1840 Farm on Facebook and Twitter. I’m off to complete my morning farm chores and begin documenting our participation in the challenge. I hope that you’ll join in the Purina 60 Day See the Difference Challenge with me. Here at 1840 Farm, we’re definitely feeling up to the challenge, are you? To learn more about everyone living at 1840 Farm and keep up with our participation in the Purina 60 Day See the Difference Challenge, follow us on Facebook and Twitter or visit our blog at www.1840farm.com. Well, Just thought someone had to throw a wrench into the works. This Purina challenge is nothing more than a gimmick to get you hooked on their feeds, and you’ll be spending significantly more for your feed. I for one, got tired of the prices of feed and since I have a degree in biology, I created my own feed based on what my birds need. I raise several varieties each of ducks, geese, turkeys, quail, pheasants, pigeons, chickens, and goats. I obtained a grinder and hooked up with a local (in my area) farmer, who harvests corn, wheat, rye, barley, oats, and hay, and buy at commodity prices; plus I discuss with him what type of seed he uses, fertilizers, pesticides, and herbicides. I buy 3500 pounds per month, and sell enough of my mixture to pay for the feed that I use. For one, the scratch grain you buy at the feed store has been sifted to remove the fines (powder), which means you are essentially buying only the hard yellow portion of the cracked corn and little nutrients. Second, if you are raising you birds for organic meat and eggs, you have just done the opposite, as these processed feeds contain additives. To add extra protein, I grind in some cheap kibbled dog food (25%), as well as all the oyster shell they want (I pick up from local oyster eating events and pound with a sledge hammer), and my birds thrive. I also take the entrails from my butchering and any birds that die of old age and compost them with leaves in a 5 gallon bucket with holes drilled in the bottom and hang in the pens so the hens can eat all the fly and beetle larvae produced (great extra protein). These Purina and other market feeds are great for raising show birds but not if you truly want organic. I’m so glad to hear that you’ve had such great results. We’re in the first week of the challenge, so it’s a little soon for me to see any changes, but I am encouraged to hear your flocks are flourishing! I will post the feed tag ingredient list from the bag for your review. 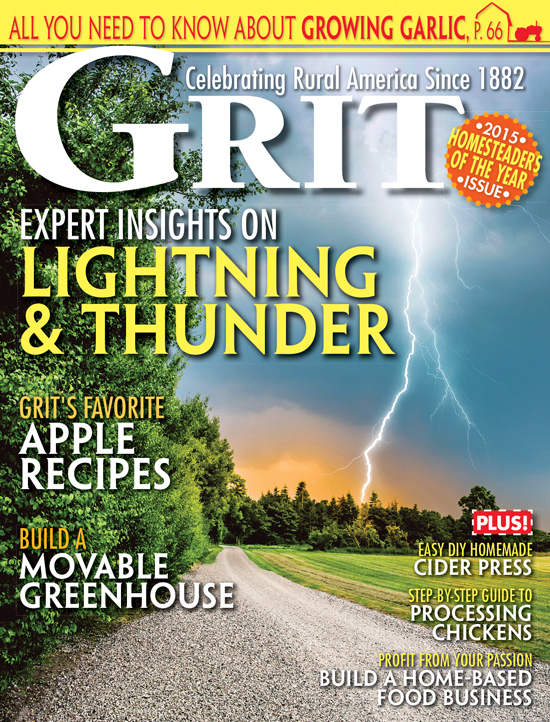 Look for it in the coming days! I started my chicks on Purina products but did try a different brand for a short period and they threw a fit. Did not like to eat it at all. They have been on Layena since they started laying and I can tell you that my Red Stars which supposedly lay large eggs are laying quite a few extra large eggs in the mix of nice large ones. The color of the eggs is awesome medium brown. The shells are nice and thick so they don’t break easy if a hen pecks it a little. They are nice and heavy. The yolks are nice and golden and harder to break than store bought. The girls are all beautiful and healthy. We already feed our flock the Crumbles. Maybe this is why we always think our girls & boys look healthier than others we have seen? We’ve tried the Co Op brand, but they didn’t seem to do as well. Out of our 27 hens (we also have 3 roosters)we’ve been averaging just under 2 doz. a day. Four of our hens are 4 yrs. old and may or may not be laying every day. 2 of them were born this past Spring, so are just starting to lay. The rest range in age from 1 yr. to 3 yrs. Plus we’ve been fighting broodies all Summer. I feel like we are doing well on egg production. We have more than enough to share with friends and family and even sell a few doz. every now an then. I’ll be interested to see what results all the participants have.